Top 10 Best Contour Products You Can Try! Contour makeup can be a game-changer for your daily makeup routine. Contouring your facial features such as your cheekbones, your forehead, your jawline, and the sides of your nose can help shape your features as well as slim them and cause them to appear more defined. However, it can be difficult to find good contour products that accentuate your features without drying out your skin or appearing orange, ashen, or chalky. To help you out, we’ve compiled a list of top-quality contour products so that you don’t have to waste time searching. Read the following reviews of the top contour products to discover the best contour products of this year. The Aesthetica Cosmetics Cream Contour and Highlighting Makeup Kit is a great all-in-one contour palette kit. It includes six creams, three of which are varying shades of contour makeup and three of which are illuminating shimmer highlighters. The creams are packaged in a single travel-friendly palette that is mirrored for easy on-the-go application. 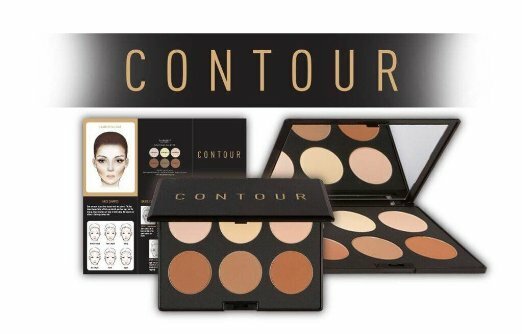 This contour kit is an excellent choice for beginners who are just entering the realm of contour makeup. Along with the contour and highlighting creams, the kit includes a set of easy-to-follow how-to instructions in order to guide users in perfect contour application. 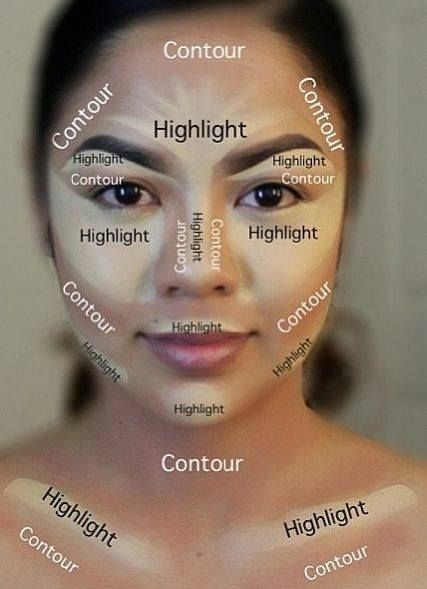 It also contains face shape diagrams and a guide to contour mapping in order to help users figure out the best places to apply the contour and highlighter products. This contour and highlight palette offers six powder shades: three highlighters and three contour colors. The RUIMIO Makeup Contour Kit Highlight and Bronzing Powder Palette formula applies with a silky smooth finish that easily absorbs into your skin. The contour and highlighter shades are easily blendable and can be layered to build intensity and mix colors to create the perfect mix that complements your skin tone. The six powders can be mixed and matched and apply evenly onto your skin with a subtle finish that never looks chalky or dry. These powders are designed to blur imperfections on your shin to achieve a defined, airbrushed finish. A full contour kit would not be complete without a brush. When it comes to contour, the right brushes make all the difference. Low-quality brushes or brushes that are the wrong shape can botch contouring easily no matter what contour makeup products you have. The Susenstone Flat Contour Makeup Brush is an excellent makeup brush designed for flawless contour application. It is made from soft man-made fiber hairs and is designed with a sturdy, thick flat top that is designed for powder contour application. The Sustenstone Flat Contour Makeup Brush also comes with an included carrying pouch. This pouch makes transporting the brush for on-the-go contour application easy and keeps the fibers of the brush soft and in place during transportation. 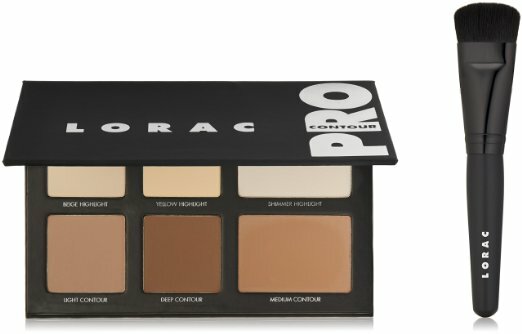 The LORAC Pro Contour Palette features three matte contour shades, two matte highlighters, and one shimmer highlighter that allow users to create countless versatile looks using only one palette. The six powders in the palette are easy to blend on top of one another in order to create a unique look. The contour powders are also ultra-pigmented, so a little bit of product goes a long way in creating the perfect contoured look. This palette includes a top-quality contour brush. This brush is designed for use with this palette of powder contour and highlighter shades. It is soft and sturdy and works perfectly to apply and blend contour evenly into your skin. 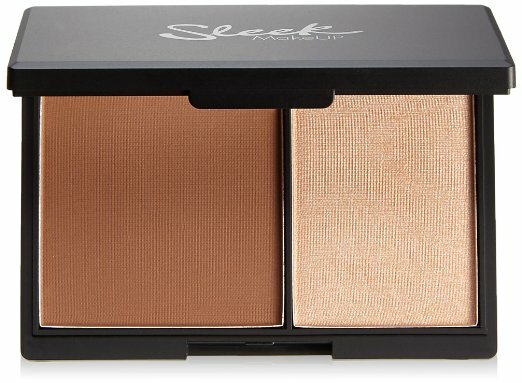 This Face Contour Kit from Sleek Makeup includes two pressed powders within one compact: a matte contour powder and a luminous highlighter. The powders apply with a silky smooth finish and are easy to blend to build the perfect contour with the intensity you desire. The Sleek Makeup contour duo kit is the perfect product to buy if you travel frequently or often apply your makeup while you are out and about. It is small and easy to transport, but it contains everything you need to create a flawless contour look at any time. 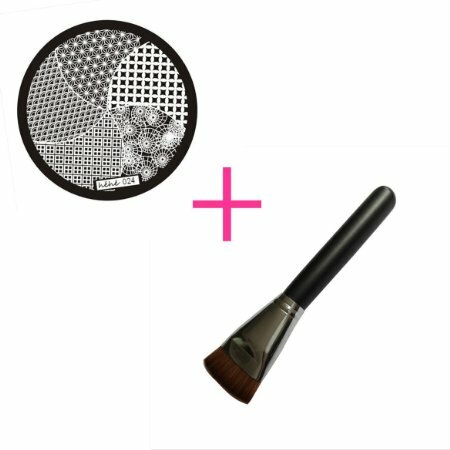 The Real Techniques Sculpting Brush is another excellent makeup brush designed to build a flawless contour. It is designed with sturdy fibers and wide, angled head in order to apply well-blended, defined contour makeup. The brush is specifically built to blend contour in order to create a smooth and even application that looks flawless in any lighting. This contour brush is not only effective, but it’s also fashionable. The brush has a shiny handle that starts out matte black and transitions into a bright, shiny pink color. If you’re a beauty lover who cares about how your makeup brushes look along with their quality, this is the contour brush for you. The Contour Kit and Highlighting Powder Palette by Elizabeth Mott is a palette that includes three powder contour colors and three highlighter shades. The contour powders are very smooth and pigmented and all of the powders are included within a sturdy mirrored palette case. The palette also comes with a step-by-step instruction booklet that guides readers on how to use the palette to create a flawless and even contour. Elizabeth Mott’s Contour Kit and Highlighting Powder Palette is the perfect choice for makeup lovers who value cosmetic ethics. Elizabeth Mott’s makeup products, including this contour palette, is one hundred percent cruelty-free. The original Contour Kit from Anastasia Beverly Hills features six top-quality powder shades of contour and highlighter. The kit is specifically designed for use by professional makeup artists but is welcome to less experienced beauty lovers as well. This Contour Kit is easily blendable and features everything you need to create a luminous highlight and a sharp contour. Although it is aimed toward professionals, this kit is excellent for beginners as well because the powder shades are easy to blend and difficult to build too intensely. 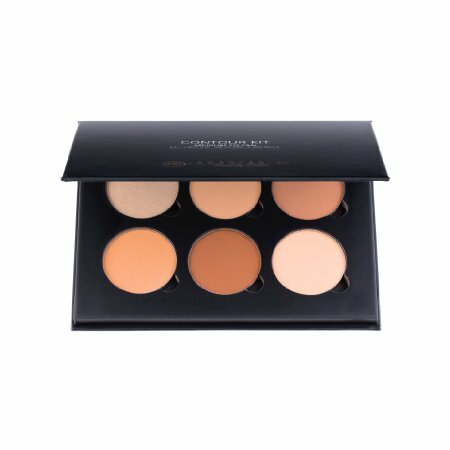 This contour kit is the cream formula version of Anastasia Beverly Hill’s original powder contour kit. 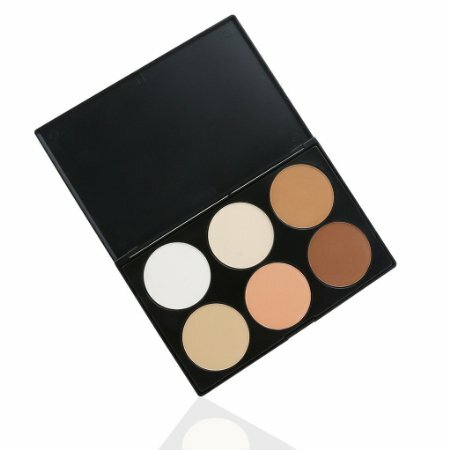 It features three contour shades and three highlighter shades within one palette. All of the contour and highlighter colors within this Anastasia Beverly Hills kit are a cream formula. The cream contour colors apply smoothly with maximum blendability and offer extra hydration for your skin. They are intensely pigmented and help easily define and shape your features. 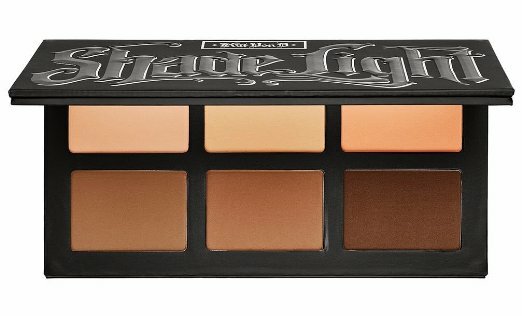 The Kat Von D Shade + Light Contour Palette features six powders in three shades of contour and three shades of illuminating highlight. 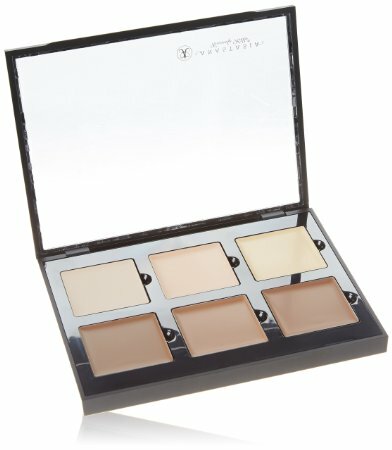 The palette is designed to create unique dimensionality for your face using contour to create shadow and highlighter to create natural light. This palette offers long-lasting, intense contour. The colors do not fade after application, even after all-day wear. Plus, the palette includes a step-by-step guide that teaches readers how to harness shadow and light with the palette to become contour experts like Kat Von D.
Here is a simple and easy tutorial on how to Contouring and Highlighting Step-by-Step, enjoy.